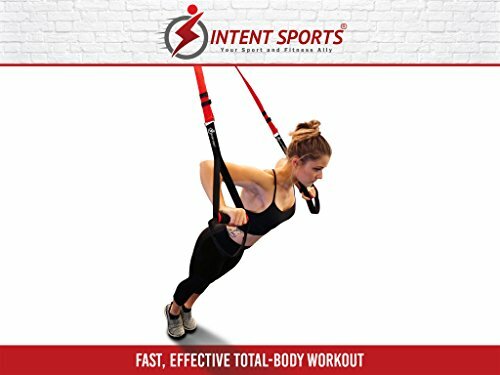 PREMIUM WORKOUT PRO STRAPS the Fitness Bodyweight Resistance Trainer lets you use your bodyweight with the natural force of gravity. You get exceptional workout for a much stronger core. BURNS FAT & BUILDS STRONG, LEAN MUSCLE like few other workouts. 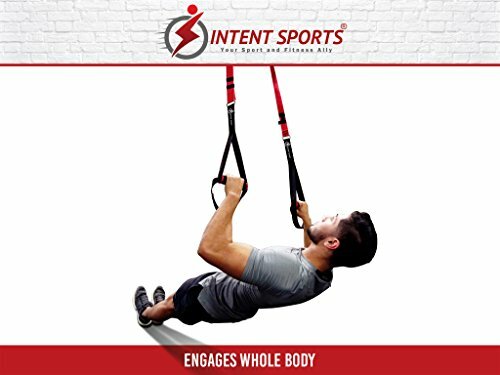 This very simply uses your bodyweight to give you all the benefits of an expensive gym in the comfort of your home. 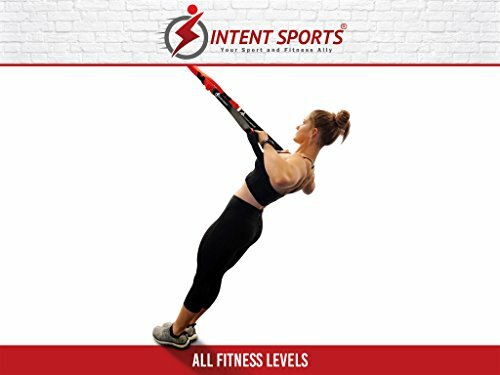 Increases endurance and improves flexibility to keep you strong and young. ANCHORS TO DOOR, TREE, RAFTER BEAM or other secure structure. 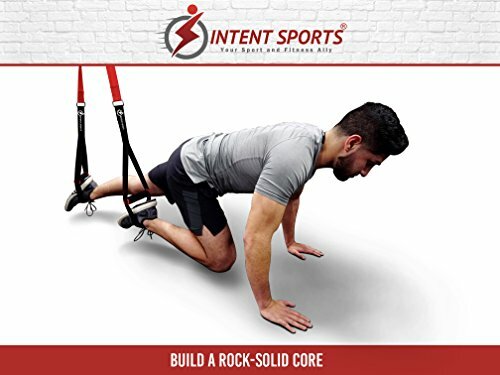 This professional grade Bodyweight Resistance Trainer set includes reinforced door anchors that hold fast and won't slip. The reinforced foot cradles can handle all the punishment you give them. Don't miss the quick attach carabiners that let you strap up and go to work in just seconds. ALL-IN-ONE KIT WITH BONUS CARRY BAG. This kit has absolutely everything you need. 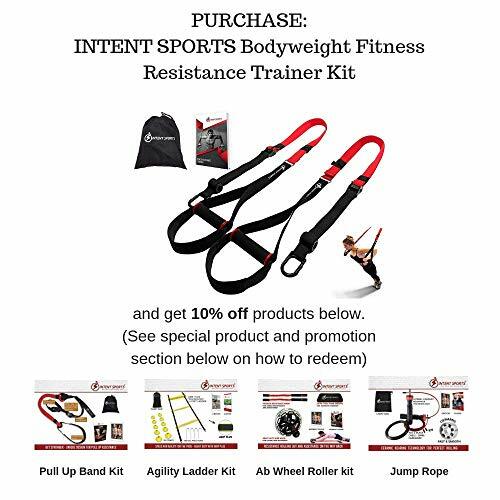 You won't have to buy a single accessory to get the full benefits of bodyweight resistance trainer. We also include a handy black carry bag. Now you can take these lightweight straps with you to work, gym, the park, and more. 100% SATISFACTION GUARANTEE ensures this will quickly become your favorite no-risk purchase. Many people are stocking up with 2 or 3 of these to share with family and friends. 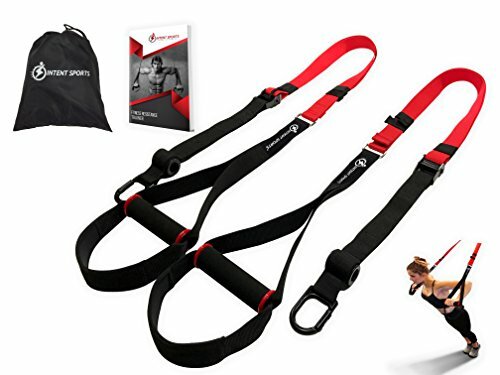 HURRY AND BUY NOW while we have this very popular workout kit in plentiful supply. This makes a great birthday gift, holiday present, and anniversary gift. Also wonderful for friends, family, and co-workers - anyone who likes a great complete body workout.